Understanding why we need to shoot in raw is one of most difficult part in photography. I hated shooting in raw as it was a time-consuming process afterward. I like jpeg and pictures straight out of the camera as this saves me time. During my photography course, one day I was taking pictures of the sunset as I visited this place down the coast. However when I came back home and viewed my images I realised the white balance was wrong, the colour just was too dark and not how it looked in the camera when I took it. I was so disappointed as I was not able to go back to that place again! That's when I realised I should take photos in raw as then I will be in control of the image when I edit it! Even now I shoot in raw but my camera allows me to shoot in jpeg and raw at the same time so it saves two copies of the same picture. This way I have one copy where I can edit every detail just incase and another processed copy where I can still make my little changes while editing. That's why normally wedding photographers capture their images in raw because they only have one chance to take that image and they do not want to risk getting it wrong. Ever took a photo and then went to edit the brightness but it made it look washed out and not natural? Well yes I used to have that problem a lot! I use Picasa to edit my brightness and contrast and it just seems to give a grey cast when I add some brightness. Raw images in Lightroom will prevent that cast because you will be editing the actual image and not putting a layer on top of it. 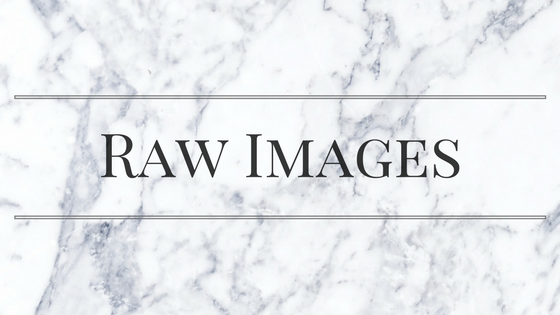 So why should you take blog photos in raw format? Firstly, you can change your mind about some camera settings which you used when you took your pictures. This gives you the flexibility to experiment as well as learn new techniques. Of course, on top, it gives you the option to make your photos look better. If you are looking for the highest of highest photo quality then you should be shooting in raw. If you want to change exposure to the correct setting, increase brightness, sharpen image, correct white balance and get better detail in your photograph then once again you want to be shooting in raw. Raw photos take up a lot of memory space. The photo needs to be processed which can slow the camera down. Some programs can not open raw files. It can slow your computer down if you have a low RAM memory to work with. So there you are, a simple post on raw images! I will likely to be adding sample pictures to this post, but I have been away from home all this week so really sorry for taking so long to get this post out! Now I have finished my photography series, I will next be posting about things you need to know about 'Blogger' platform and something's you may have not known!